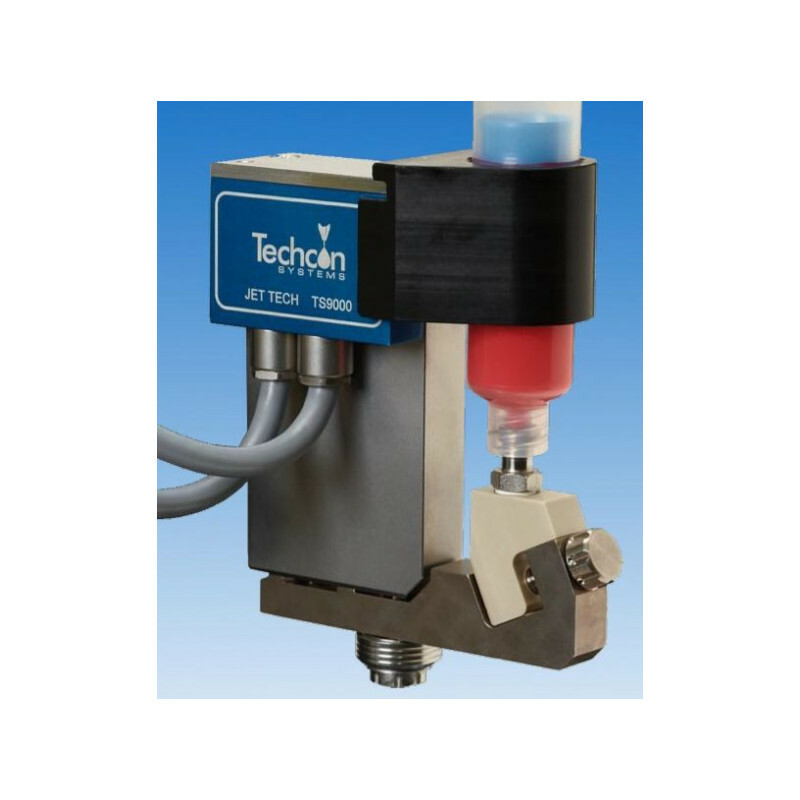 The TS9000 Series Jet Tech is a Piezoelectric driven, non contact dispense valve capable of handling fluid viscosities to 2 million Cps. 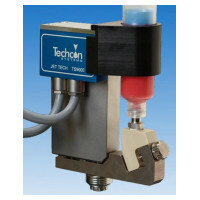 Jet Tech offers a fast jetting action producing hundreds of accurate deposits less than one second.Every component of the valve was designed to the highest tolerances and manufactured to the strictest degree of precision insuring world class accuracy and repeatability in drop-to-drop dispensing volume. 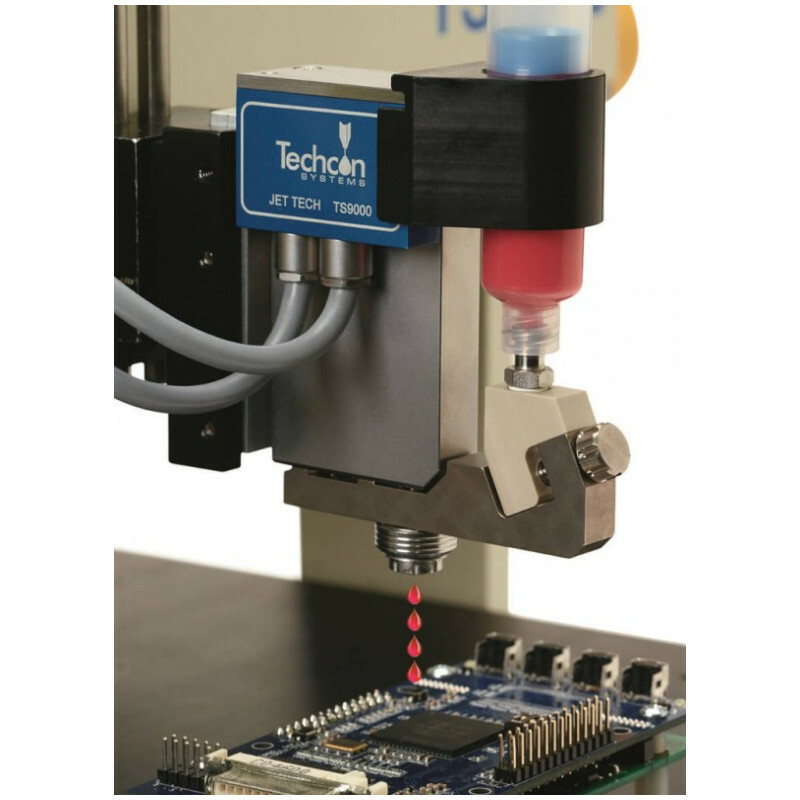 Jet Tech's compact size and modular design aids integration into robotic systems. 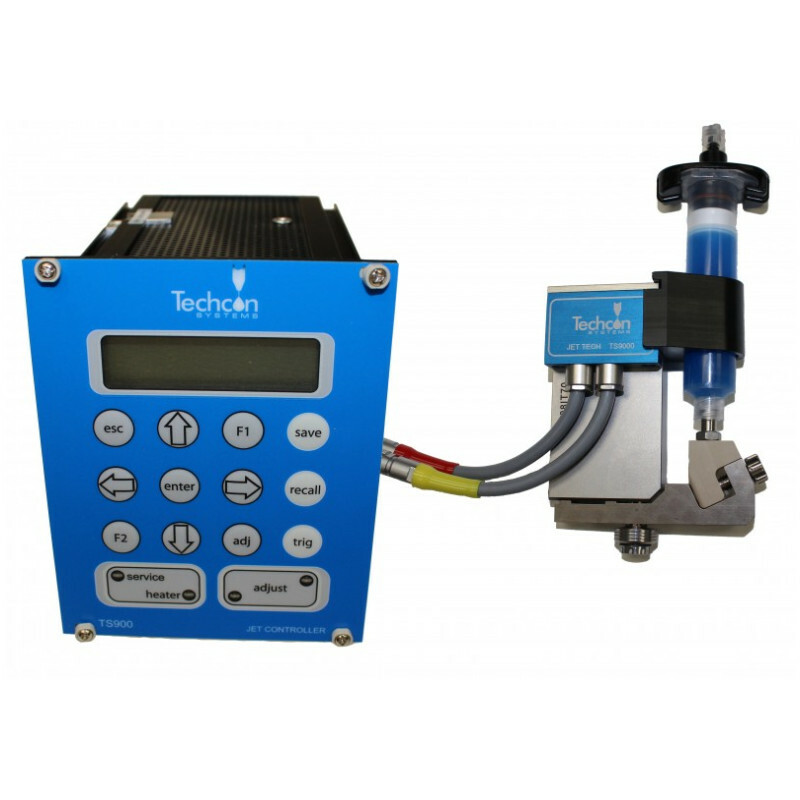 The valve features fully adjustable parameter settings, allowing the operator to change the jetting properties for different fluid types and optimize the process for repeatable dispensing. A variety of nozzles shape and sizes along with different tappet configurations provides a wide spectrum of output jet deposits.